Fetching water from the Tatina River. Nestled amongst thick forest abutting the Alaska Range, Rohn felt like an oasis in a stretch of rough trail and cold fear. Snow had begun to fall softly, glimmering in the morning light and sprinkling the thick green forest floor with soft, white flakes. Giant squirrels scampered among the trees and chirping birds flitted about. It looked like a fairyland. 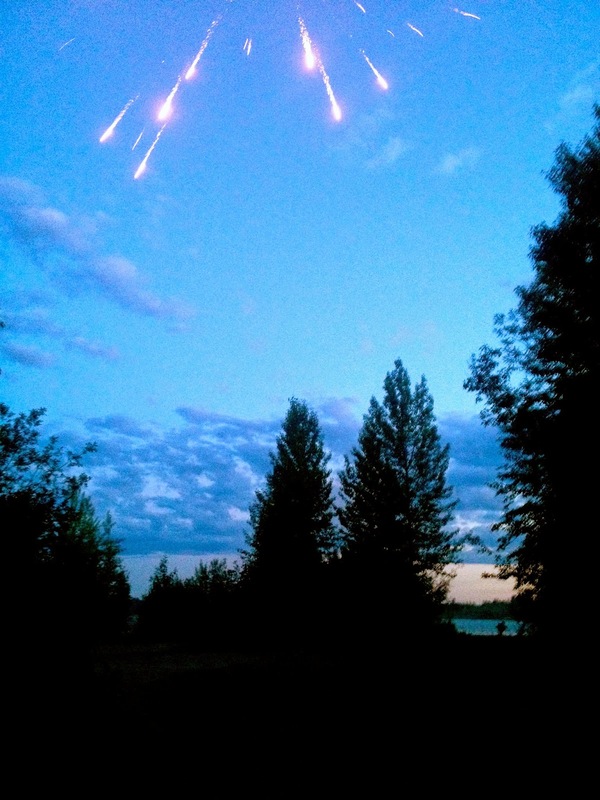 The magical scene was dispelled by pissed-off and shell shocked mushers wandering about, eyeing the sled carnage scattered between the trees and venting to those that would listen. 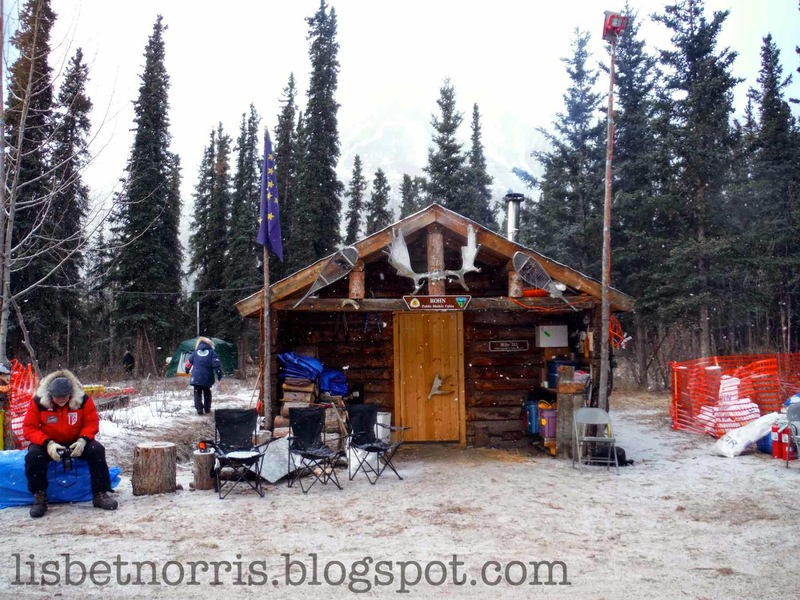 I avoided the main checkpoint cabin; I could see scratched mushers going in and out of it. It seemed to have a dark gloom about it and I didn't want anything to do with it. 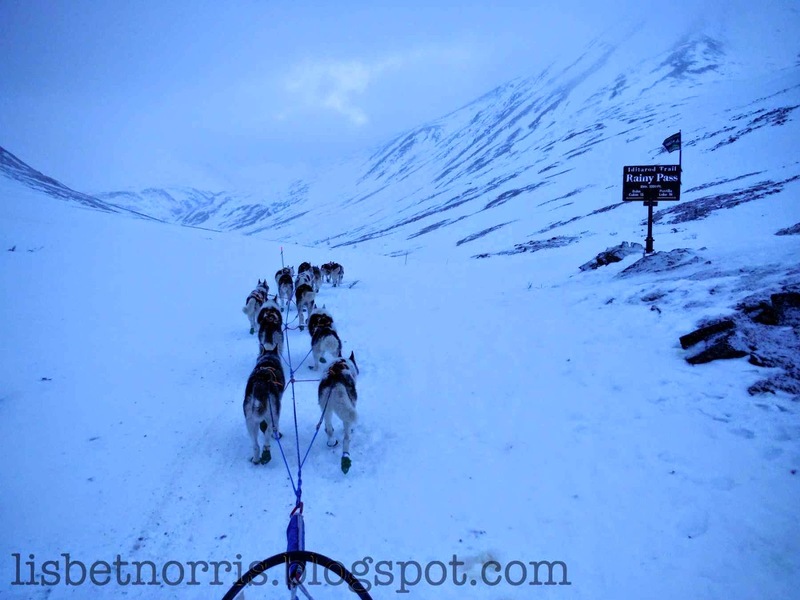 As I took care of my dogs, I watched other mushers depart from the Rohn checkpoint, headed towards rough trail and certain hardship. 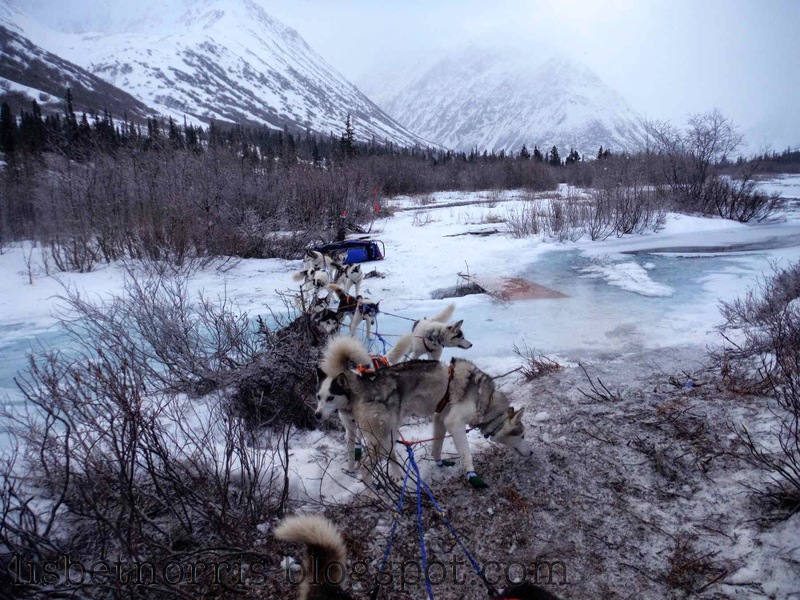 Reports of broken sleds and limbs had filtered back to the Rohn Checkpoint, fueling fears amongst the gathered mushers. 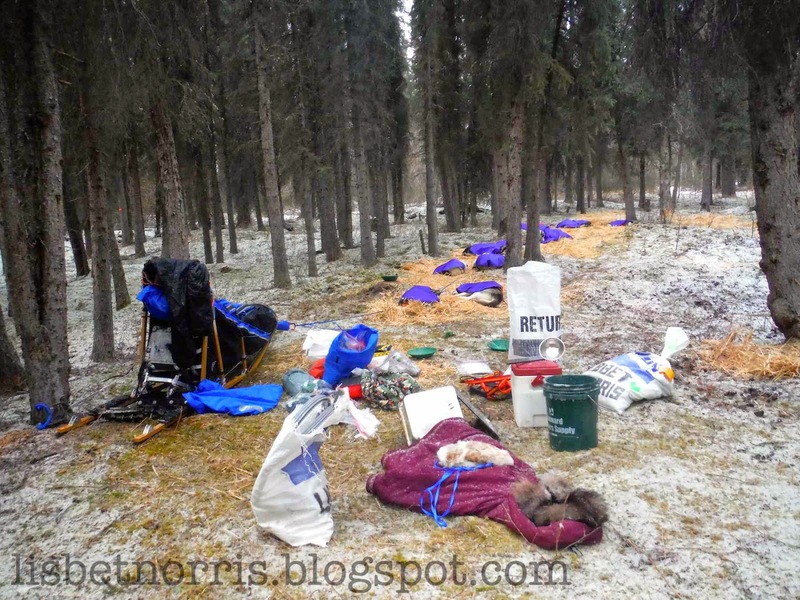 I had planned a fairly long rest in Rohn as per the “rest lots in the beginning” advice I had received from several veteran mushers before the race, so I went to go lay down in the sleeping tent, nice and warm from a drip oil stove. Elliott Anderson snored comfortably next to me on the carpeted green floor. I lay still for exactly five minutes before I sat straight up and decided it was time to go. It had nothing to do with Elliott's snoring. The uncertainty of what lay ahead had permeated the tent and I was too antsy to rest. I needed to get out of there and face the challenge in the daylight. 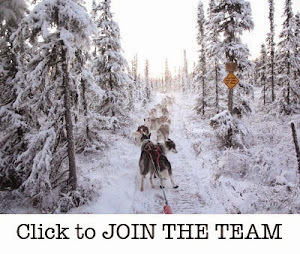 By leaving now, I would be joining a caravan of mushers including Yvonne Dåbekk, John Dixon, Alex Beutow, Marcelle Fressineau and Monica Zappa. I gathered my gear and headed back out to ready my team. Six hours was plenty long enough anyway. We left Rohn around five p.m., giving us a couple hours of daylight. 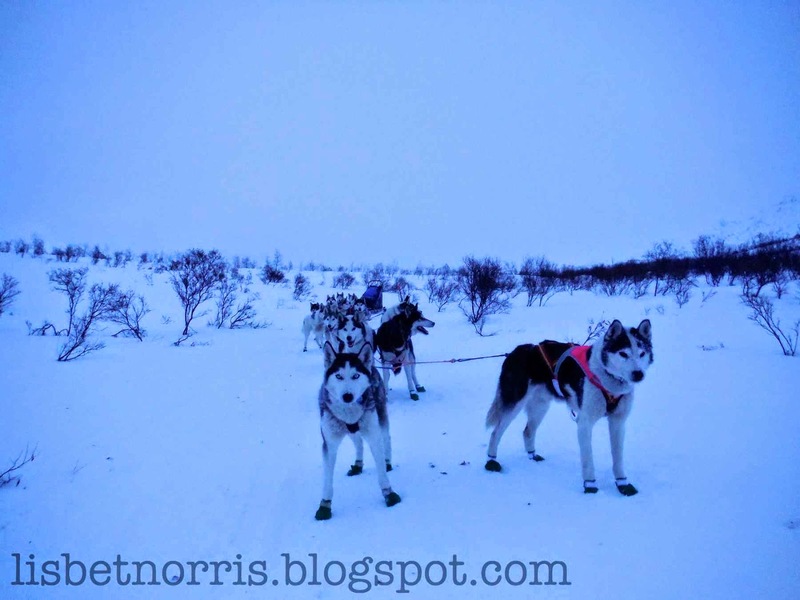 I left with the entire team, apart from the wheel and lead dogs, running on their necklines. They would run the next forty miles this way, powering over stumps, burned out forest and river rocks. There was no snow leaving Rohn. When I saw the first pieces of ripped off runner plastic right outside the checkpoint, I knew we were in for a rough ride. The trail leaving the checkpoint wound through a green, mossy forest, the trail crisscrossed with roots and looking, for all intents and purposes, like a dirt footpath. My drag mat broke for the first time just a few miles from the checkpoint. Before the race, we had attached my hefty drag mat to the sled with two faulty O-rings, counting on them to break (instead of my stanchions) if the drag caught on a stump or root, with two strong metal links on each side. 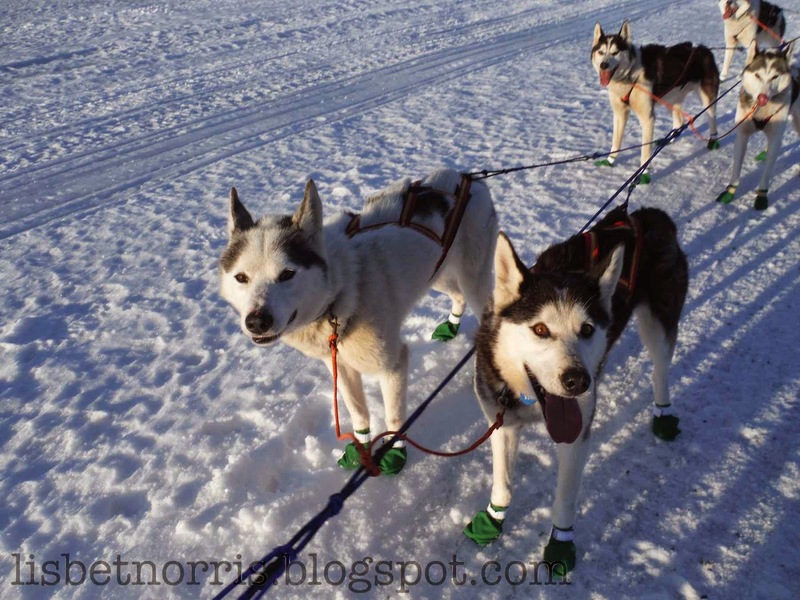 Surprisingly, the O-rings stretched, but did not break, and three of the four metal links snapped at separate times, usually causing the sled to careen to one side as I rode the drag mat constantly in a vain attempt to slow the dogs on the rough trail. Each time a link broke, I stopped the dogs, wedged my snow hook in the dirt or a root, and made a new link out of 5/32 Amsteel rope I had packed in my fid kit. This process took just a minute or two. I was thankful to my mom for teaching me how to quick splice rope! Physically, this run was the toughest for me in the entire thousand mile race. The forested trail quickly gave way to a hilly rugged landscape scarred by forest fire. 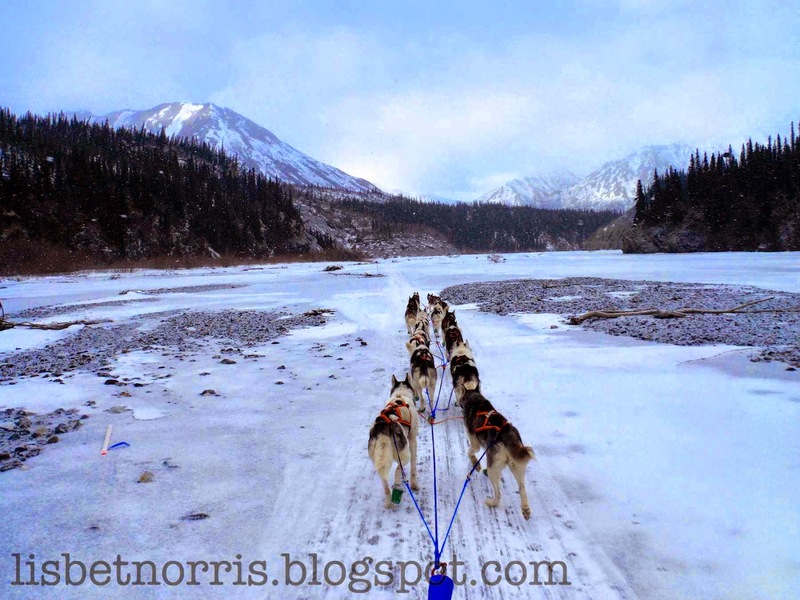 One needed to be strong to haul the sled up ledges and away from ravines. It took all my power to keep the sled from slipping into dangerous situations. The trail was unrelenting. 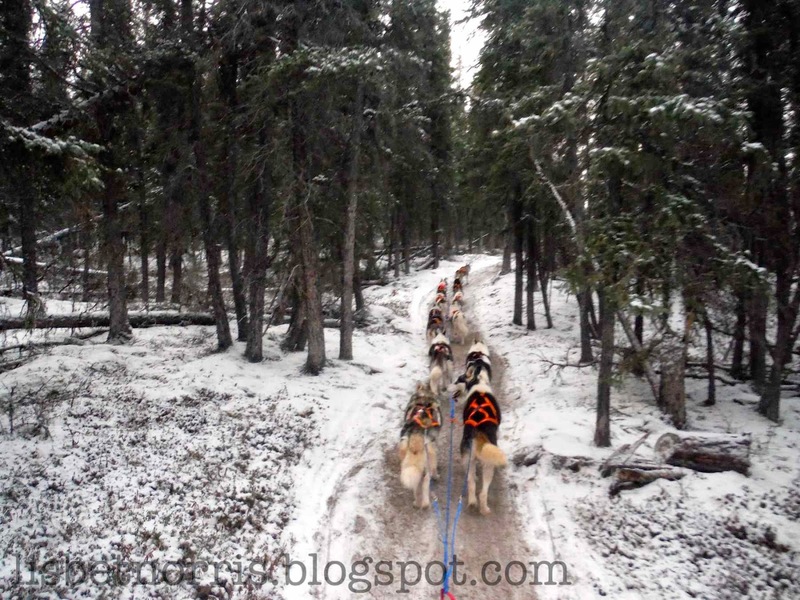 The sled banged over roots and tussocks and careened down rutted hills. We dropped off a vertical bluff onto the Post River, the trail making an immediate sharp left. 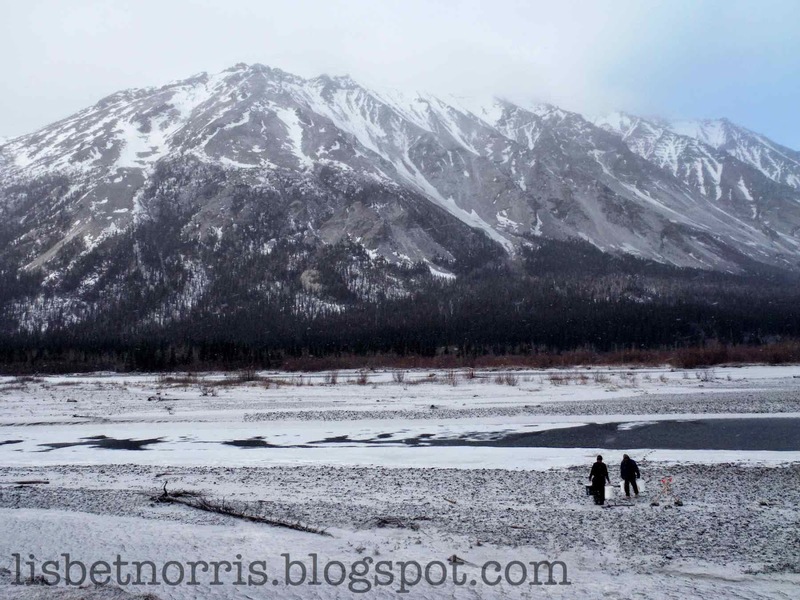 Debris from various sled crashes was scattered across the bare river ice. The trail disappeared in a field of rocks crowding the river bank, only to reappear heading up another vertical bluff at an angle that proved impossible for me to get my sled up without sliding over the edge. 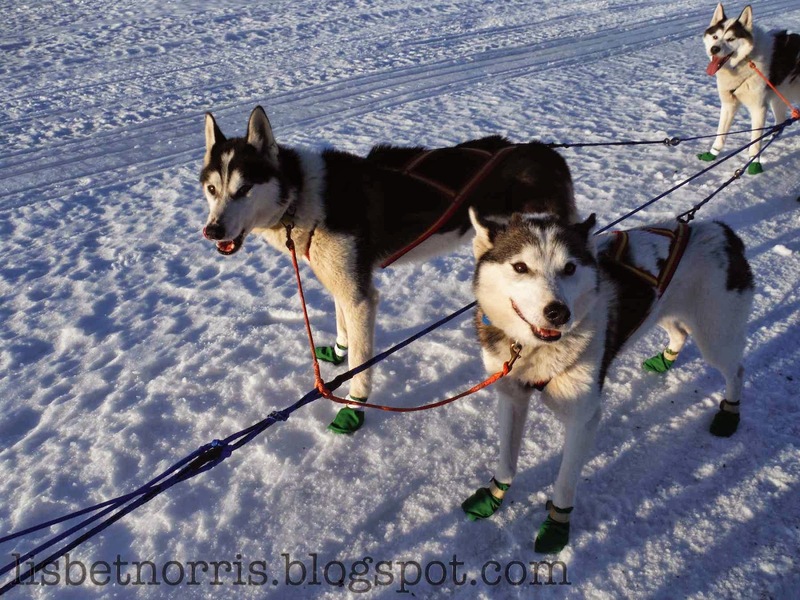 I climbed up the bank and grabbed the towline, heaving to maneuver the heavy, dangling sled in the right direction. I then called up the dogs, who easily pulled the sled up over the ledge. Soon after, scrambling up the glare ice of the Post River glacier, we encountered the sad sight of Lev Shvarts and his shattered sled. He had attempted to cobble it together, but it looked pretty hopeless, with no way of braking or holding his dogs back. He ended up scratching the next day. The sketchiest section came right after the Post River Glacier. After dropping down some incredibly steep, scary, rocky hills, we encountered a huge hole in the trail. Maybe a sinkhole. 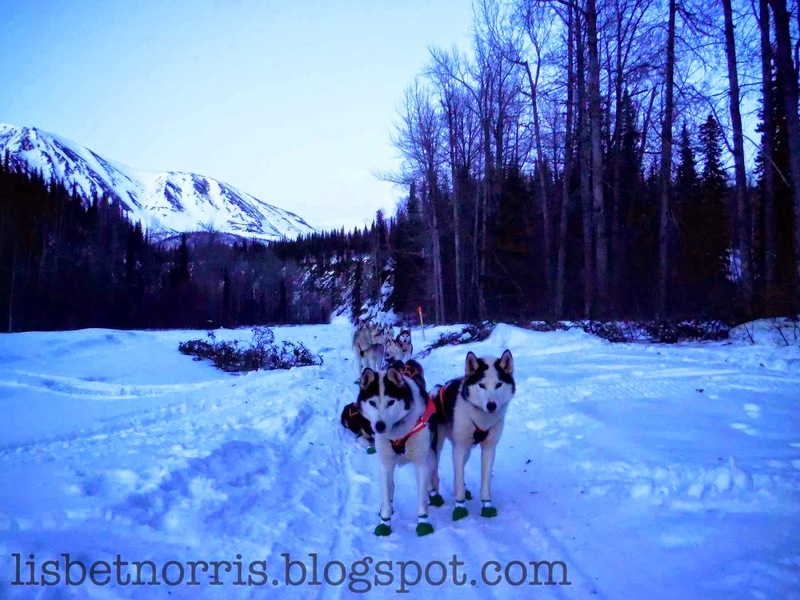 The trail edged along the left side of the hole, but tracks told that several mushers had already fallen in, their sleds hanging off the edge of the small cliff created by the hole. Alex Beutow, who was just ahead of me, had forged a new trail to the right, which my dogs luckily took. It had grown too dark for me to see the full extent of the cliff and the danger of the original trail. Right after the sinkhole, I caught up to some members of the Rohn caravan. Together we slowly edged down the trail as it twisted through the burn. It dropped down steep, dusty hills, narrowly dodging giant stumps and leaning trees. It was stop-and-go as we scouted the trail and waited for the person ahead of us to descend safely. After a particularly harrowing section, we passed the remains of Kelly Maixner’s sled trailer. Periodically, I could hear the exuberant barking of teams ahead of me. 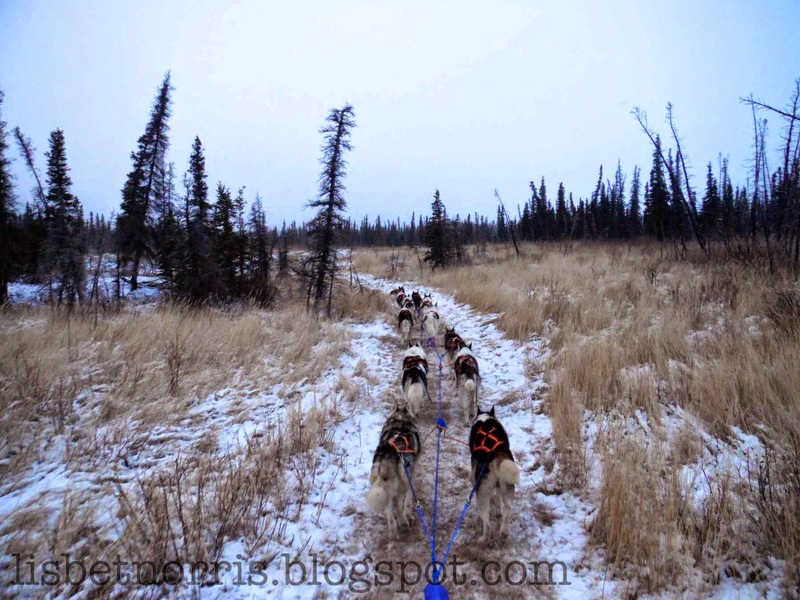 Only a couple hundred miles into the race, the dogs were crazy to go, regardless of whether their musher needed a break, whether to gather nerves or to fix a broken sled. This led to some scary situations for mushers who had difficulty handling powerful teams on marginal conditions. Luckily for us, here, as in the Gorge, our inadvertent "patience training" paid off. Although still feeling like a battered ping-pong ball as we bounced off tussocks and ground over rocks, when I needed to stop, the dogs waited patiently until they felt me step back on the runners. 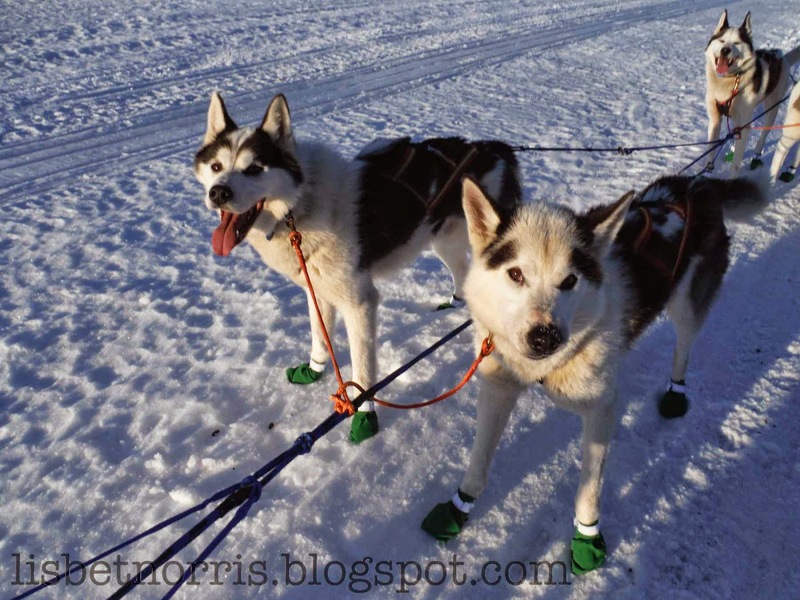 Then they leaned into their necklines, eager to haul the sled over the next obstacle. After Kelly’s trailer, the trail steadily climbed. The hills were steep. 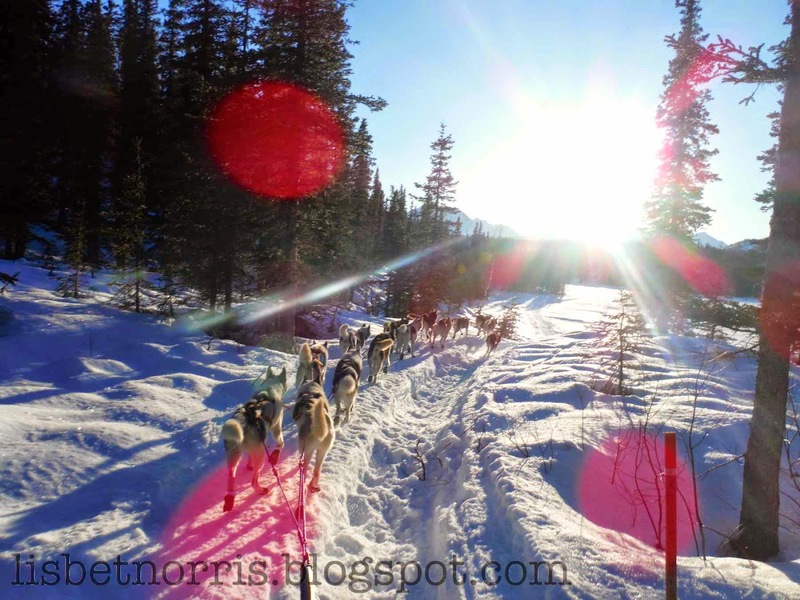 Occasionally, I could see the headlights of mushers some distance ahead still winding uphill. We passed Yvonne, who was having difficulty controlling her young, strong team, and Tommy, who held back to ensure she made it through safely. I grew more and more nervous the higher we got. What comes up must come down, right? It had been near impossible to slow the dogs on previous downhills with just rocks and dust under the drag mat. The topography was a mystery. It was dark, so we had no sense of the landscape; when the hills might end and the descent begin. My anxiety ebbed each time we encountered a relatively flat stretch of tussocks, only to flare up again when my headlight beam lit up another ribbon of dirt heading endlessly up towards the dark night sky. Turns out, there is no downhill. The rough stretch culminated at the top of a hill where Alex Beutow and I were greeted by a wide stretch of overflow and an Iditarod Insider crew. A cameraman lay on the far side of the overflow, bright lights glaring. 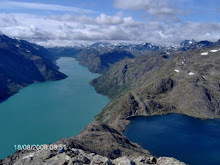 As I led my dogs across this relatively minor obstacle, after twenty-five grueling miles of unbelievably difficult trail, ravines, sinkholes, a glacier of ice, and ankle breaking downhills, I could not believe THIS was what they were filming. Try going five miles the other way! The appearance of the film crew on snowmachines was a sign of better trail to come. 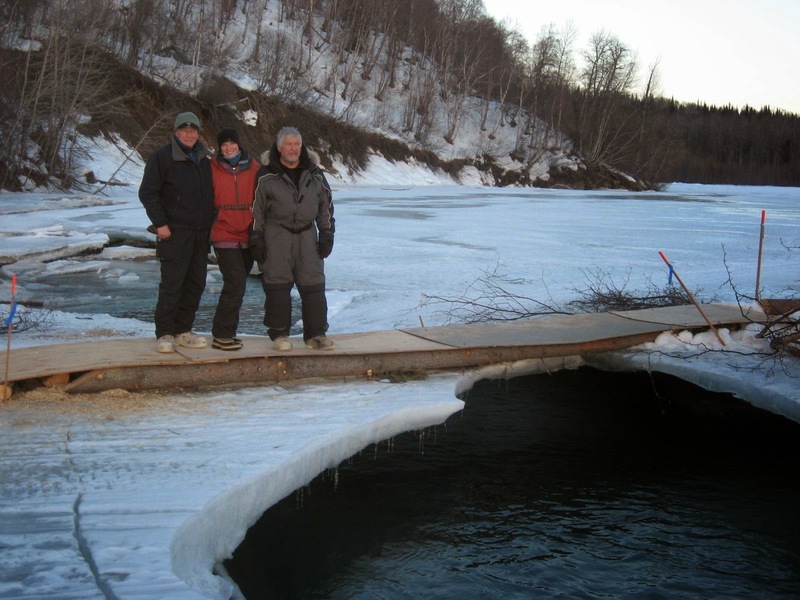 I don't know how many hours it had taken us to get to that point, but the run to Nikolai is estimated to be seventy-five miles long and we hadn’t quite come even a third of the way. Christian Turner was bedded down next to the overflow, a sure sign of some mishap. Christian had been following a very competitive schedule, one that ensured those of us with a more relaxed pace wouldn't be seeing much of him… but there he was. 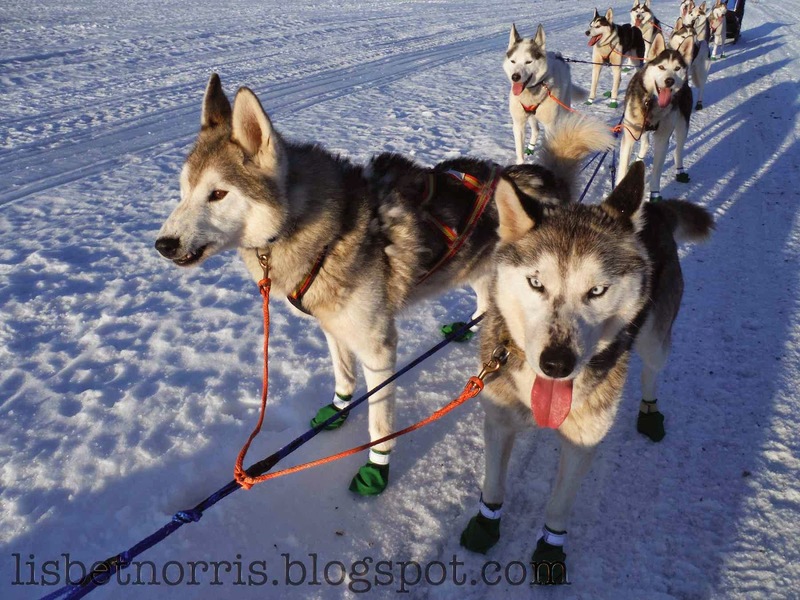 Turns out his gang line had broken and he had had to run for miles after his team, secure the loose dogs, and then go back and ferry his remaining dogs, supplies and sled the distance several times over. Exhausted, mentally and physically, he was taking a much needed break. Although it looked like a nice spot to stop, it was still a long way to Nikolai, so spurred on by that knowledge, and by Alex, who was adamant about continuing until more milage had been made, I kept on. A few miles later, we encountered Monica, who had elected to stop and camp at an open creek. A brief stop to commiserate and we were off again, headed towards Farewell Lake. The team resting in Rohn. Monica Zappa & Tommy Jordbrudal. About to drop onto the Post River. http://sledehund.no/sammenligning-av-tre-langlop/ and copy it into Google translator it if you don't read Norwegian. This is an interesting article, but I think it misses the point. 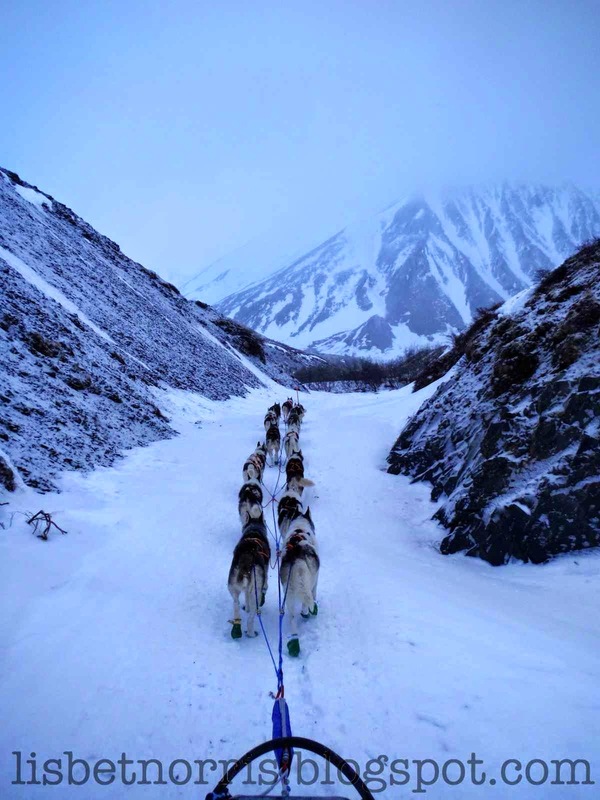 The article theorizes shorter average run lengths on Iditarod compared to Finnmarksløpet's longer average run length results in a higher percentage of dogs finishing the race. 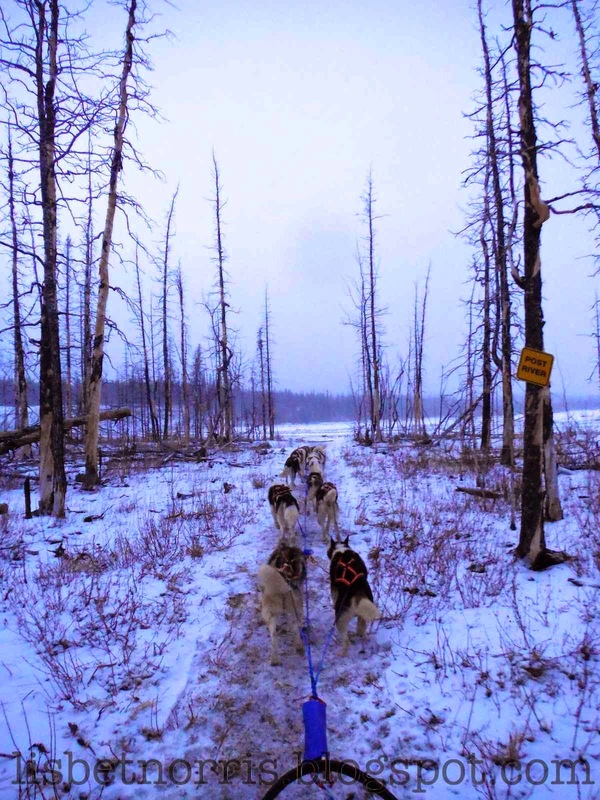 The article wrongly assumes mushers stop in each of the Iditarod checkpoints (for an average run length of 48 miles), but what I think it really gets wrong is simply equating shorter run length to higher finishing rates. 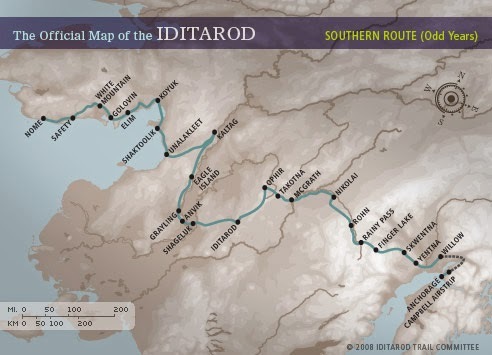 While 48 miles may be about average run length for Iditarod, the nice thing about Iditarod compared to Finnmarksløpet is that our runs are as long as we, the mushers, want them to be. 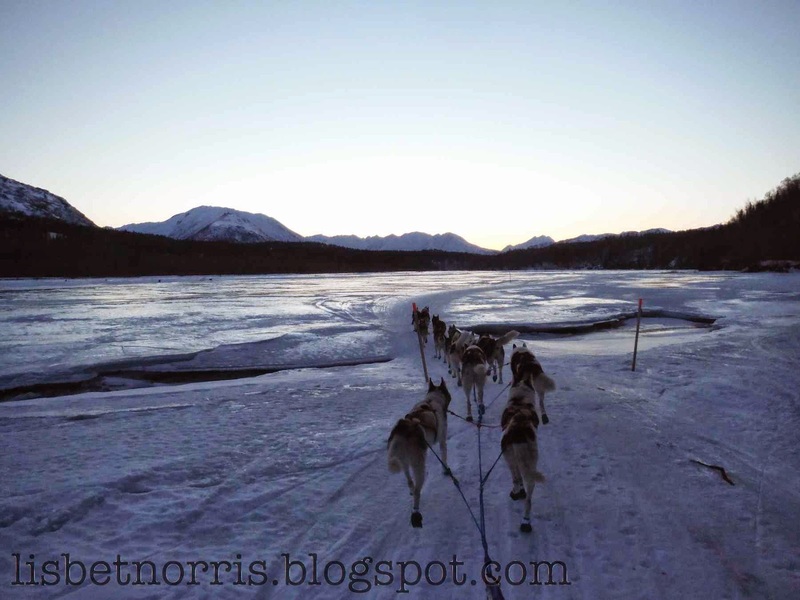 It is quite common for mushers to blow through checkpoints, or stop before them, which is what I believe accounts for the higher percentage of dogs finishing. 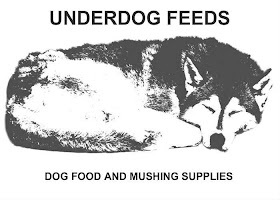 Mushers are able to stop and rest when their dogs need rest, and don't necessarily need to run them into the ground to the next "rest station" aka checkpoint to remain competitive. I believe Finnmarksløpet's dog statistics would improve if rather than contemplating installing "wilderness checkpoints," they did away completely with mandatory rests at specific checkpoints, and let the mushers choose when/where to rest their dogs themselves. Yes, we signed up again! 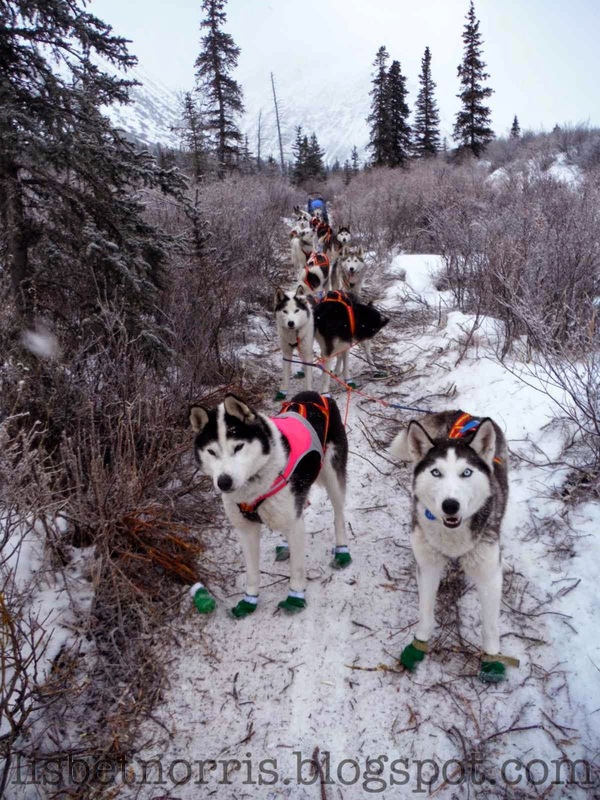 We are committed to improving our Iditarod race time, maintaining the workability of the Siberian Husky, and look forward to the challenges of the 2014/2015 race season! I will be announcing several different sponsorship packages in the coming days, but first, I'm excited to announce the launch of a new Team Anadyr Shop specifically for mugs, glasses, and hats. This may seem like an atypical collection, but I had a really difficult time last year managing a high volume of orders during peak training season. I want to thank everyone who waited a long time for their gear last season for their patience! The mugs, hats and glasses available via Cafepress are made as ordered and ship immediately. I am spared the time & expense of packaging mugs, and the customer receives their merchandise soon after ordering. Win-win! Check out the new Mug & Hat store by clicking the link below! 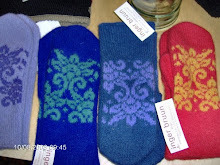 The link to the store is also available at the bottom of the Team Anadyr Store page. 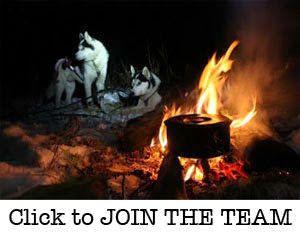 Thank you for your continued support of Lisbet & Alaskan Kennel's Anadyr Siberian Huskies! 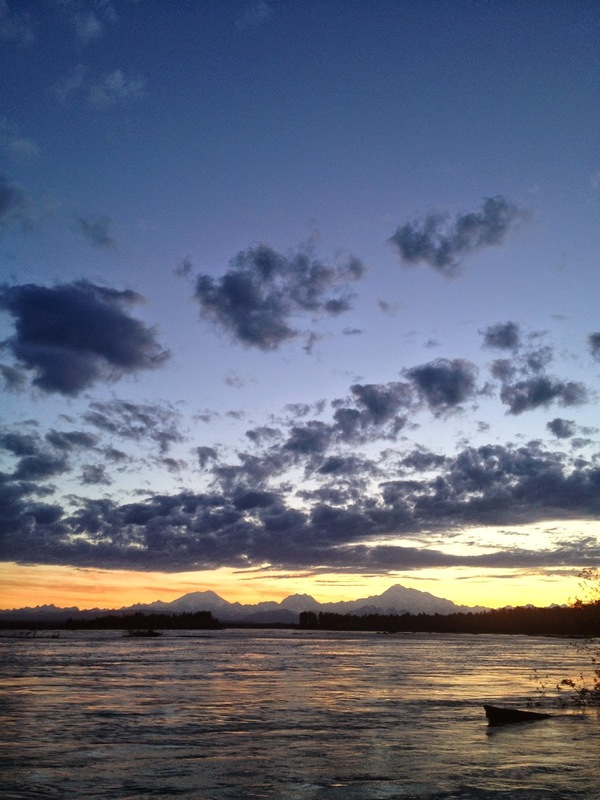 We knew that parts of the trail heading over the Alaska Range would be bad. Judging from local trail conditions, I guessed they would be really bad. I did my best to prepare. In retrospect, I think the smartest decision I made was to take 14 dogs instead of the maximum number allowed: 16. I just didn’t feel comfortable taking a full 16. 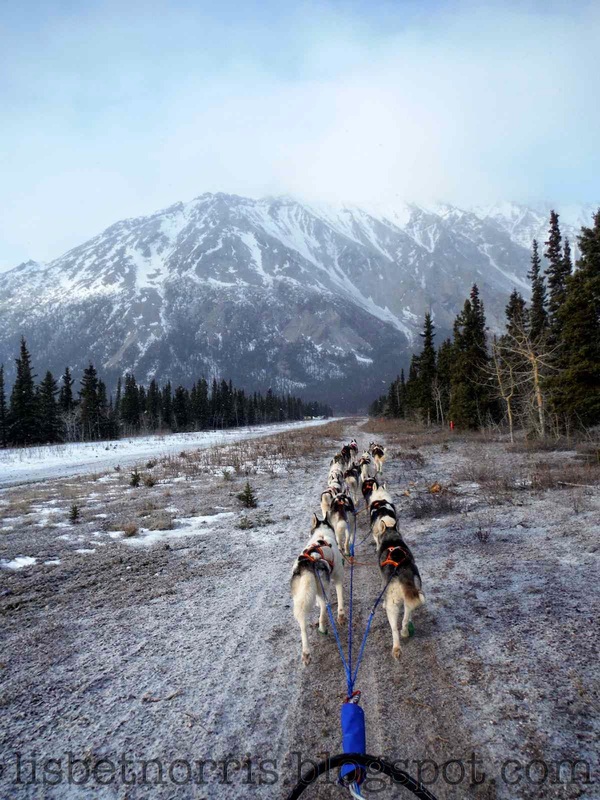 14 dogs is still an incredible amount of power (Yukon Quest allows a maximum of 14, with sleds loaded nearly double what we take on Iditarod). The safety of the dogs is paramount, and the idea of my team getting injured because I couldn't keep them slowed down was unconscionable. So in addition to deciding on a smaller team, I asked the veritable Bernie Willis (local musher-sled builder-horse trainer-pilot extraordinaire) to help me build a drag mat. In place of a ridged piece of plastic the size of two pieces of toast (as is common on race sleds), I had a wicked two foot long snowmachine track with seventeen 1” spikes bolted into it. Bernie fashioned a UMHW lip for the mat to keep it from catching on stumps. I didn't care that it was heavy and bulky. It was practical and I loved it. We left Finger Lake in the heat of the day. Somewhere ahead of us were the infamous and intimidating Happy River Steps. While the snowless conditions of the Gorge and Burn garnered a lot of attention this year, the section that truly beat me up the most was the hills on the way to Rainy Pass. 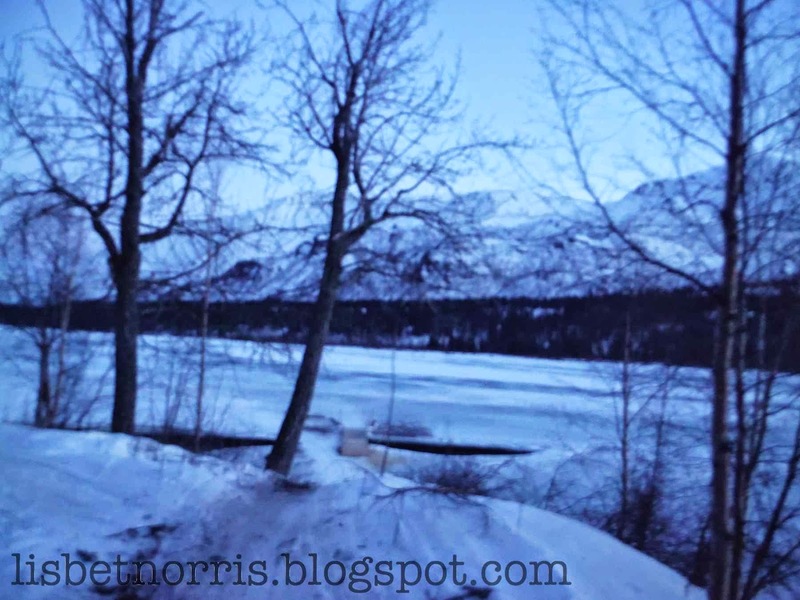 The Steps turned out to be uneventful, but the sidehills and icy chutes cut into the sides of the mountains caused my sled to slip and tip countless times. 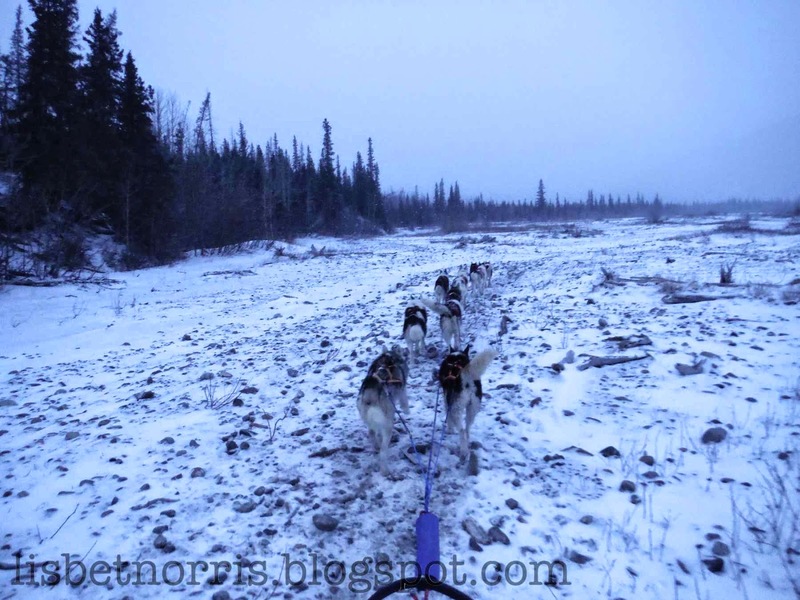 The trail was icy and rutted from the brakes of previous mushers. Some of the lips were lined with downed logs to prevent our sleds from rolling off the edge of the trail. I could see Netwon Marshall just ahead of me had had a tough time of it. I could see from his tracks where his sled had rolled down the steep slopes, pieces of broken Jamiacan flags scattered in his wake. I managed not to tip my sled off the trail, but I got bruised and dragged in the process. We arrived in Rainy Pass in the dark of night, to a checkpoint filled with apprehension and fear. 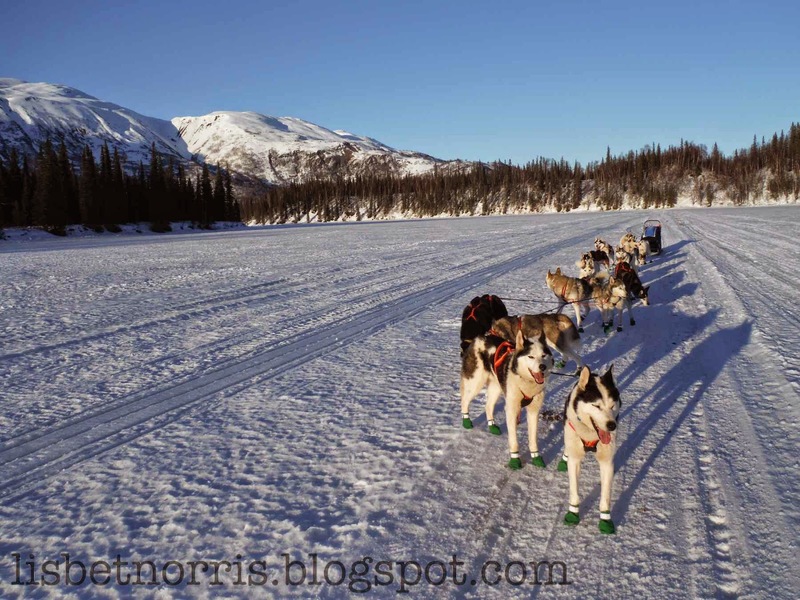 Reports from the first mushers to reach Rohn had filtered back and the news was not good. 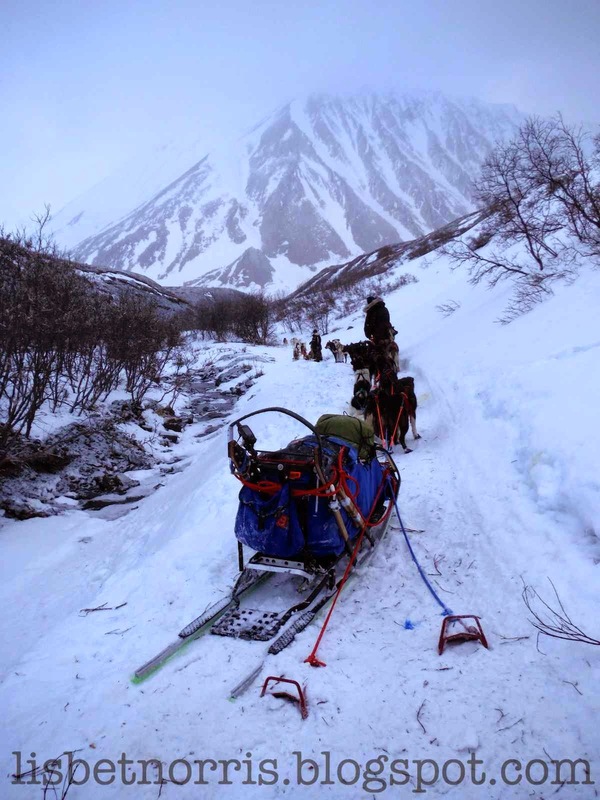 Broken sleds and trail conditions that had even venerable veterans scratching. Andy Anderson, the race judge, advised those that were there to wait until morning to attempt the run, and then, in the daylight, to take the tugs off all the dogs and go for it. I was scared. I considered dropping a few dogs in exchange for more control but eventually decided against it. Ultimately, and unbeknownst to us, what prepared the team most for the Gorge was the horrible weather we had endured in January and February. 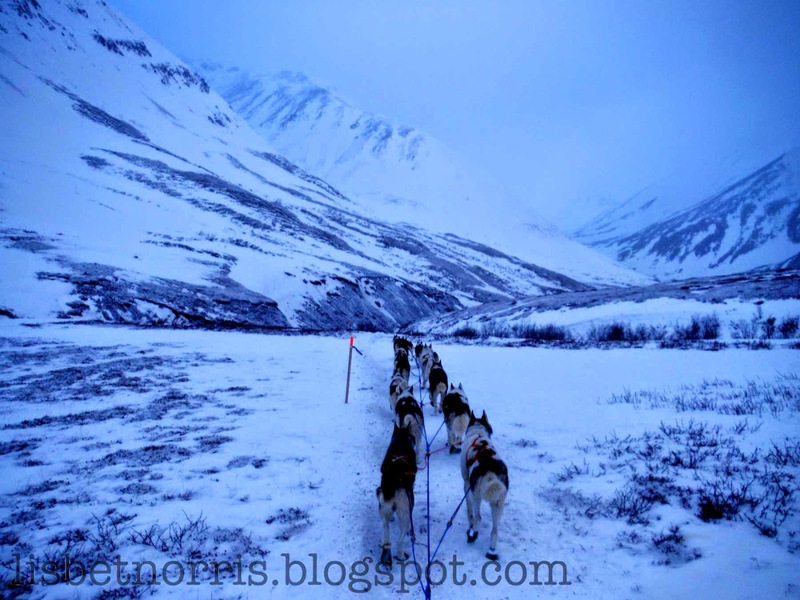 While many mushers had been able to pack up their dogs and run big teams in the snow on the Denali Highway or in Eureka, I was working and unable to do so. 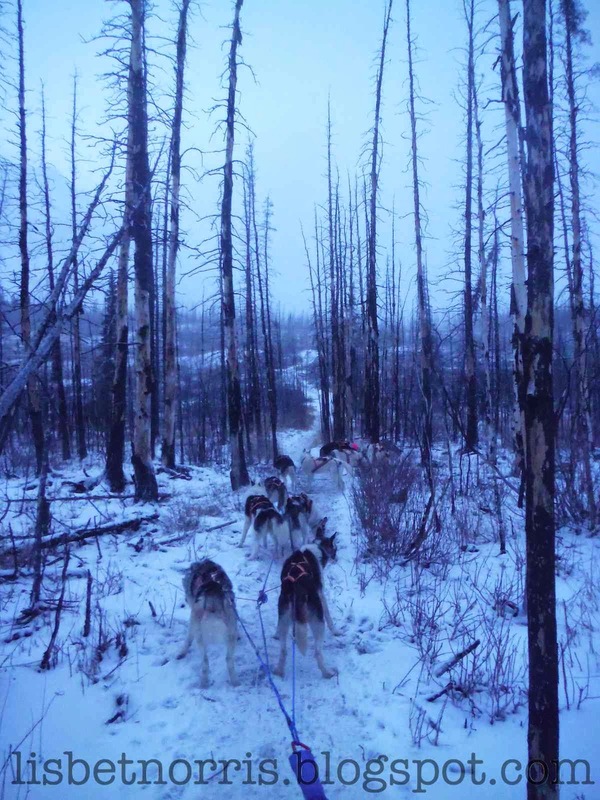 While I wasn't able to get even half as many miles on the dogs as many of my competitors, running on ice and many inadvertent camping breaks while I labored to chop down a downed tree blocking the trail taught my team patience. Did you watch the Jeff King video of the Gorge? WHOA WHOA WHOA WHOOAA WHOOOOAAAAAAAA !! His dogs completely ignored him. He gave an interesting Insider interview in which he says he inadvertently trained them to speed up when he said “whoa,” because when things got really interesting, he couldn't control them, and they sped up when he wanted them to slow down. My team may not be as high octane as his, but when I said “whoa,” my dogs stopped. They were used to ice, used to waiting until I was ready to go. When the sled slipped sideways onto a broken tree brach extending into the trail, I was able to stop the dogs, pull my sled off the tree, and keep going. If they had refused to stop and wait, that tree would not have been the first thing to break…. Months of slow training in terrible conditions paid off, but it didn't make it any less scary. I mushed over trail I didn't know it was possible to mush over. Roots, sidehills, giant rocks. I wouldn't want to drive an ATV over what we ran over, much less a dog sled. The trail wound between trees, switching sides often. The creek crossings were never straightforward. They were glare ice and rocks, taking you always up a sidehill on the opposite bank. There was literally no snow. During our warm spell last winter, the tops of some of the ridges melted, leaving bare forest ground instead of hard packed trail. One loop had maybe 25 feet of bare ground. 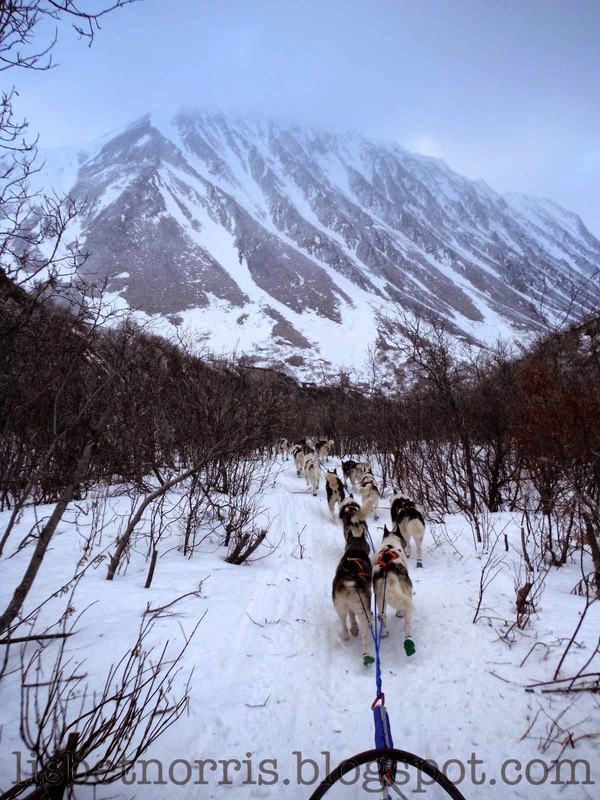 When I encountered this ridge last January, I hooked my 7 dog team down and walked half the dogs over before taking the other half and the sled over. How funny! I thought running seven dogs over 25 feet of bare trail was intimidating before I mushed fourteen over 15 miles of dirt! It was doable, but it was tough and outright dangerous. No one would ever willingly mush a dog team over that trail. There are two very steep, almost vertical drops that take you down to the creek bed. Karen Ramstead damaged her hand here, crashing into a tree. I have never been so scared in my entire life than when I saw the last traces of snow pass by and then see the fourteen dogs in front of me drop away into oblivion. We flew down the two icy chutes so fast all I could do was grip my handlebar with both feet on the drag mat (what is 150lbs against a 14 dog team and gravity?? ), my heart in my mouth. We survived without incident, but if I had a choice, I would never, ever do something like that again. Despite the lack of snow, I was impressed with the amount of care that had been taken with the trail. The trail crew had shored up the edges of the trail with logs to prevent teams from sliding into the creek, flagged danger spots, and did a good job marking. Still, most of the run was taken in a state of disbelief that there actually was not any snow. It was novel, terrifying, an adrenaline rush. We pulled into Rohn, very much relieved to be there. I smiled to see familiar faces; Jasper the checker and Kevin Saiki, the race judge. They were surprised to see me smile; it was not the expected reaction. 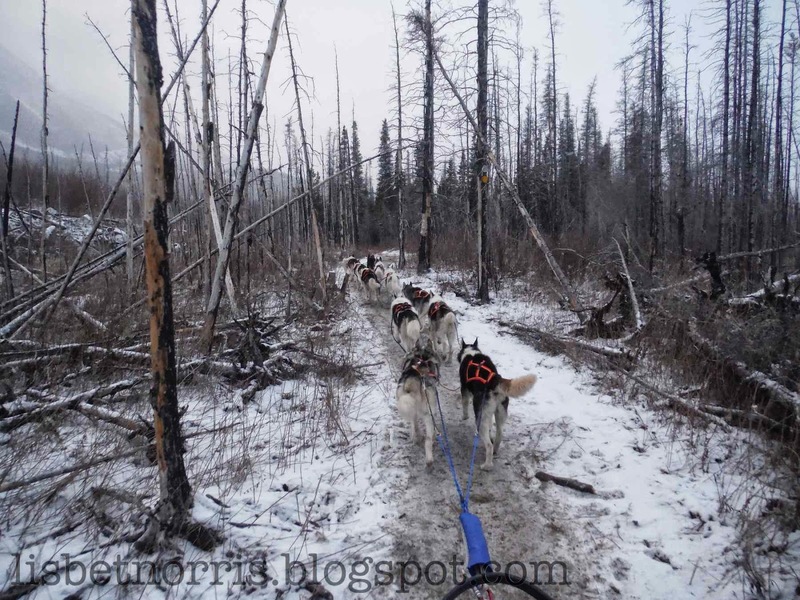 But it wasn’t their fault there was no snow, and as far as I was concerned, it was not ITC’s responsibility to provide the mushers with a “safe” trail. Their only responsibility was to provide us with a marked trail, which they did. 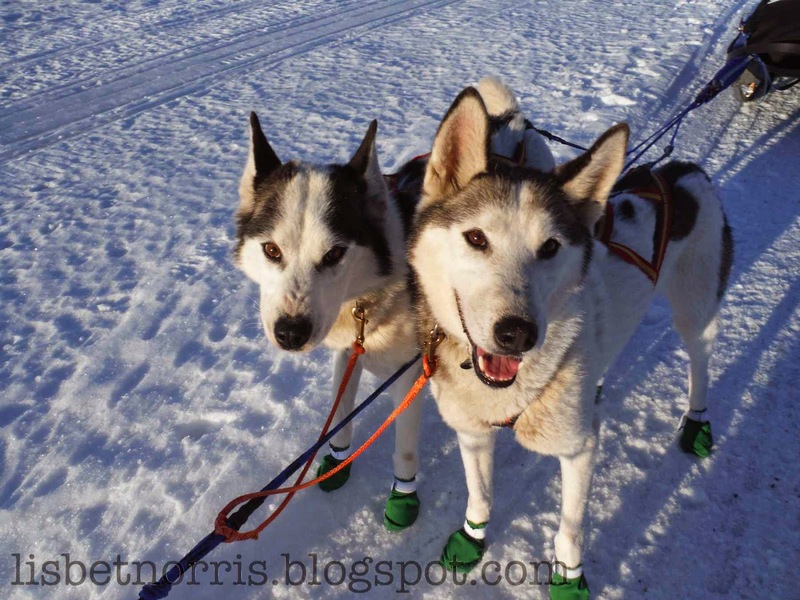 The safety of my dogs is my responsibility, no one else’s, despite what broken and frustrated mushers may claim in the heat of rage and/or disappointment. My relief to have made it to the checkpoint quickly turned to worry. 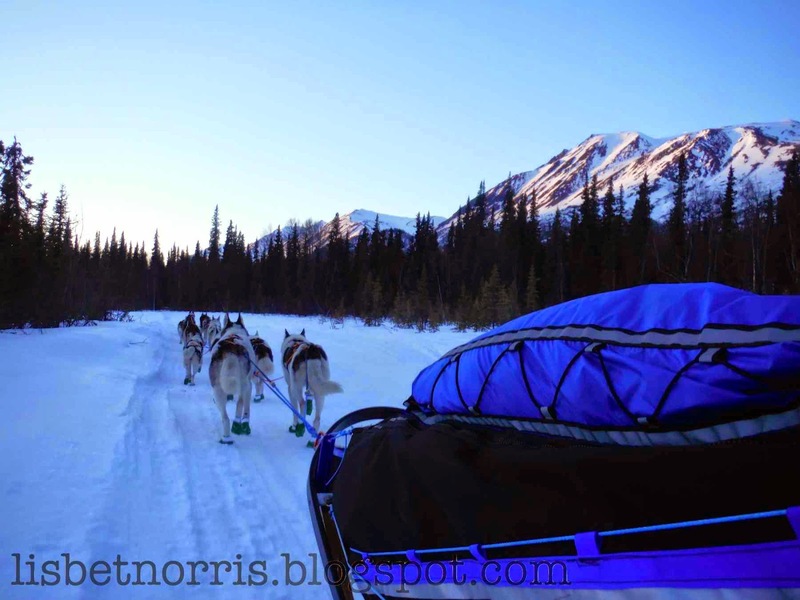 It was so rough; I hoped the mushers behind me would make it ok. Some did, some did not. Coming up: Part IV: The Harder Part. Click here for: Part I: The Start and Part II: The Easy Part. Pete & Nils in lead. Straight back to the right you can see the drop off with the chute. Nils and Pete at the bottom of the notorious Happy River Steps. The Happy River at dusk. The trail sweeps posing on a sketchy bridge over the Happy River. Photo by Pete Radano. My shaky shot of the same bridge. Into the heart of the Alaska Range. Ruby and Nils; approaching the top of Rainy Pass at daybreak. 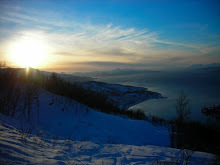 The top of the pass. About to drop down alongside Dalzell Creek. Upper section of the Gorge. Traffic jam in the Gorge; waiting for Karen Ramstead and Tommy Jordbrudal to regroup. I had been about to take a false trail that led into the top of the rocky creek when Tommy saved me by bursting through the brush waving his arms. The trail took a sharp right, but was hard to see. The markers were down. Both he and Karen had gone straight into the creek. We set the markers back up, but heard that mushers behind us had the same trouble. I also heard that the trail used to go straight ahead, which would account for some teams forging straight ahead regardless of marking. Through the stubs and down the Gorge. Tatina River, just outside of Rohn. Running along the Rohn Airstrip.